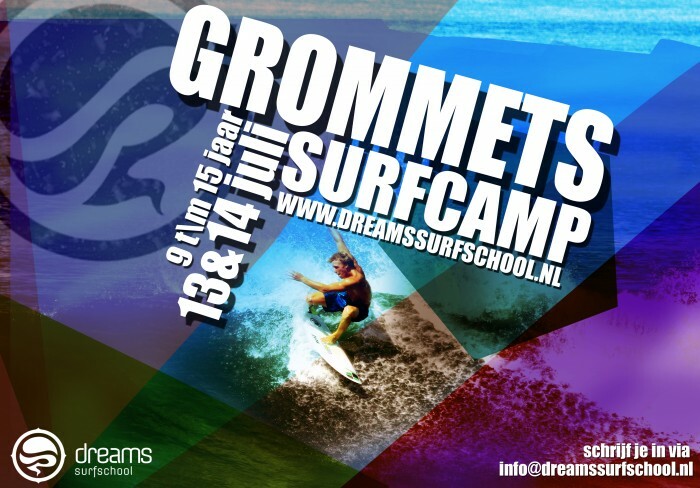 13th And 14th of July 2015 I hosted the Dreams Grommets Surfcamp in my hometown Ter Heijde aan zee for the second time. Last year was very successful and I was looking forward to coach the grommets again this time around. A group of twelve stoked grommets applied for the camp. We were lucky to have some waves, the first day was a bit better than the second. But luckily little groms know how to handle little waves. We went surfing a lot, did video-analyses, little competitions, skating, enjoying good food and played a little soccer too! It was a lot of fun and I’m stoked to see al the Dutch grommets progress so much!